The legislative action part of the National Rifle Association is reporting today that ruling on the legal case Duncan v. Becerra, Judge Roger T. Benitez of the U.S. District Court for the Southern District of California determined on Friday that California’s ban on commonly possessed firearm magazines violates the Second Amendment. The Second Amendment protects American citizens from a tyrannical government–the Founding Fathers understood that the fact that they possessed weapons allowed them to free themselves from the rule of Britain. They wanted to protect future Americans from a tyrannical government. Beware of people who want to take guns away from America–that is the beginning of tyranny. Yesterday The Gateway Pundit posted an article about Carlos Eduardo Arevalo from El Salvador, an illegal alien who brutally murdered a 59-year-old woman, Bambi Larson, in California. Garcia then detailed his lengthy criminal record. Garcia said Carranza was currently on probation for the possession of methamphetamine, paraphernalia, false imprisonment and burglary. “Unfortunately, ICE (Immigration and Customs Enforcement) placed detainers on this individual six separate times. Two in the Los Angeles area and four in the County of Santa Clara,” he said. We need a wall, and we need to arrest and deport illegal aliens who break the law–the first time they break the law. If there is a wall, it will be more difficult for them to sneak back into the country. Why Is There A Typhus Epidemic In Los Angeles? This article is based on two articles, one posted at The Gateway Pundit yesterday and one posted yesterday at NBC 4 Los Angeles. Typhoid shots are often required for people traveling overseas, but it used to be a fairly unusual disease in America. I seems to me that Los Angeles needs to increase its efforts to deal with the sanitary problems in its streets and in its municipal buildings. On Sunday, The Washington Free Beacon posted an article about a recent statement by California Representative Nanette Barragan. Representative Barragan was elected in 2016. Barragan explained that she knew this from visiting the border recently. Barragan made these comments just a day after Democrats unilaterally rejected Trump’s offer to provide protection for refugee immigrants in exchange for a border wall. Trump offered to extend the Deferred Action for Childhood Arrivals program (DACA), an Obama-era initiative that allowed children of Illegal immigrants to remain in the United States. Trump also said he would open up Temporary Protective Status, which allows refugees from foreign nations to seek asylum. In his plan, Trump would extend both programs by three years. Let’s get something straight–no matter what method you use to come to America illegally, you are breaking the law. People don’t accidentally come here illegally–they make plans to do so. That is their choice–no one is incentivizing them–in fact, a wall might actually discourage them. When I lock my doors at night, am I incentivizing people to break a window to enter my house? I don’t think so. I live very close to a national forest–a very large national forest. Watching what has happened in California makes me wonder how safe I am here. However, I am also aware that controlled burns in the national forest here are a part of summer life. I should also mention that generally there is enough rain during the summer to make these burns safe. Unfortunately that is not always the case in California, and sometimes a controlled burn is simply not practical. However, there are other ways to clear out brush and possible fuel for a fire. The Washington Times posted an article about the California fires on Friday. What has happened in California is horrific, and we need to do everything we can to prevent it happening in the future. We work in the woods every day, we understand forestry and see the dangers every day, and we know what needs to be done. Without forests, we are out of business. That’s why we’ll continue to work with Republicans and Democrats on needed reforms that will help to sustain our forests and protect our forests and communities from wildfire,” he said. Lumber is a renewable resource. A properly managed forest can continue indefinitely. Good forest management will not only provide jobs and resources, it will create a healthy environment for wildlife and avoid the environmental catastrophe that the California forest fires have been. Yesterday The Daily Caller posted an article about an attack on Rudy Peters, the Republican nominee in California’s 15th Congressional District. CNN has not yet reported this attack. Farzad Fazeli, 35, allegedly made disparaging remarks about the Republican Party before pulling out a switchblade and attempting to stab Rudy Peters at a festival Sunday, according to the Alameda County Sheriff’s Office. Peters is the Republican nominee in California’s 15th Congressional District, where he is challenging incumbent Democratic Rep. Eric Swalwell. The sheriff’s office arrested Fazeli on Tuesday and announced it to the public that afternoon. This is not acceptable. I realize that political passions are running high at this time, but supporters of all candidates need to act with civility. There is no excuse for this sort of attack on a political candidate. Hopefully the attacker will spend significant time in jail in order to deter others from committing similar attacks. The Independent Journal Review posted an article today about a new law that California is planning to pass. In an attempt to reduce childhood obesity rates, the state of California is taking the reigns from parents and banning restaurants from serving sugary beverages to children. The new bill restricts children’s drink options to be listed as just water or milk. The bill passed through the state legislature and is expected to be signed by Governor Jerry Brown. Under this bill, parents are still allowed to ask for a different drink, such as soda or chocolate milk, but it cannot be listed as a default beverage by the restaurant. If a restaurant fails to comply with the new bill, they could face a fine of up to $500. Maybe it would be better simply to educate parents on basic nutrition. I also think that if a child is taken out to dinner by his (or her) parents on a special occasion, he (she) should be allowed to drink anything he (she) wants. I remember in junior high school (back in the age of dinosaurs) that the class did a science experiment with mice. There were two mice. One mouse was fed potato chips and soda (the dream diet of many children), and the other mouse was fed vegetables and things that were considered healthy. After a few weeks, the junk-food mouse was actually skinny and not healthy looking and the healthy-food mouse was growing and doing well. Do they still teach basic nutrition in schools? Might that be part of the problem? Just for the record, I am not sure that what the children are drinking is the problem. Admittedly, soda is not good for you. However, what about looking at the ingredients in the foods you buy in the supermarket every week. How much of our bread has high fructose corn syrup in it? Isn’t that a product that contributes to obesity? How much of our children’s cereal has high fructose corn syrup in it? What is the price difference between real maple syrup and syrup made up of everything but natural maple syrup? Aside from the government intrusion involved in this law, I think it is taking aim at the wrong thing. Soda is the least of our worries in terms of what our children are eating. VALLEJO, Calif., December 11, 2017 – The USDA Forest Service today announced that an additional 27 million trees, mostly conifers, died throughout California since November 2016, bringing the total number of trees that have died due to drought and bark beetles to an historic 129 million on 8.9 million acres. The dead trees continue to pose a hazard to people and critical infrastructure, mostly centered in the central and southern Sierra Nevada region of the state. Though California received record -breaking rains in the winter of 2016-2017, the effects of five consecutive years of severe drought in California, a dramatic rise in bark beetle infestation and rising temperatures have led to historic levels of tree die-off. 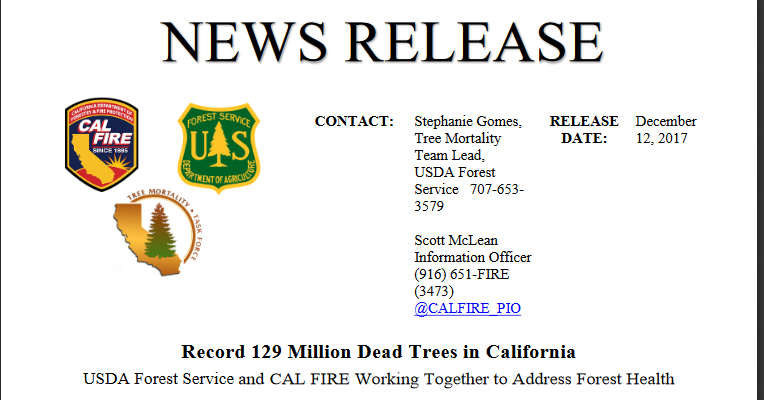 The Tree Mortality Task Force (TMTF), with support from the Governor’s office and comprised of more than 80 local, state and federal agencies and private utility companies, continues to remove hazardous dead trees. To date, the TMTF members have collectively felled or removed over 1 million dead trees; this includes over 480,000 dead trees felled or removed by the USDA Forest Service. The TMTF members are using a triage approach to this tree mortality crisis, first focusing on public safety by removing dead and dying trees in high hazard areas. To further improve forest health, the USDA Forest Service and CAL FIRE have increased their pace and scale of prescribed fire. The USDA Forest Service has treated over 55,000 acres and CAL FIRE has com pleted over 33,000 acres in fuel treatment projects. By combining tree removal with prescribed fire, crews will be able to decrease overly dense stands of trees, reduce greenhouse gases, and protect communities across the state. With record breaking levels of tree die-off, the TMTF has used t his event as an opportunity to collaborate on several fronts: from public workshops about reforestation, public outreach in urban and rural areas, and awarding over $21 million in grants aimed to protect watersheds, remove dead trees and restore our forest s. The TMTF continues to collaborate on the efficient use of resources to protect public safety and build consensus around long -term management strategies for California’s forest lands. With a staggering 129 mil lion dead trees in the state, the work of the task force is far from over. The strong foundation built will continue to be an advantage as the TMTF continues to address tree mortality and its impacts. Learn more about tree mortality and the work to restore our forests in California at the USDA Forest Service ‘s web page Our Changing Forests . To learn about how to be prepared and protect your home against wildfire and your trees against bark beetle attacks visit CAL FIRE’s web page Ready for Wildfire. If you follow the link to the original article, there are multiple links in the Press Release. Cleaning up the forests is one way to help control forest fires which can begin for a number of reasons. Some are man-made and some are the result of lightning strikes. Even in drought conditions, if the forest has been properly cleared of dead wood and potential fuel, a fire will be much more easily contained. The fires in California are tragic and the loss of property is enormous, but some of this disaster could have been avoided had the State of California cleaned some of the forests during the winter months. This was an avoidable disaster. On Saturday, PJ Media posted an article a recent lawsuit filed by seven in California. Less than a week after that ruling, Janus v. Association of Federal, State, City, and Municipal Employees (FSCME), seven California teachers have filed a class-action lawsuit to recoup unjustly forced fees. “This lawsuit will enable teachers like me to recover the agency fees that we were wrongly forced to pay against our will,” Scott Wilford, the plaintiff in the new lawsuit, told Education Week. Wilford filed the lawsuit in the Central District of California’s federal court on Tuesday. The AFT, like other unions, used “non-political” agency fees for its annual convention in 2016, at which Hillary Clinton spoke. 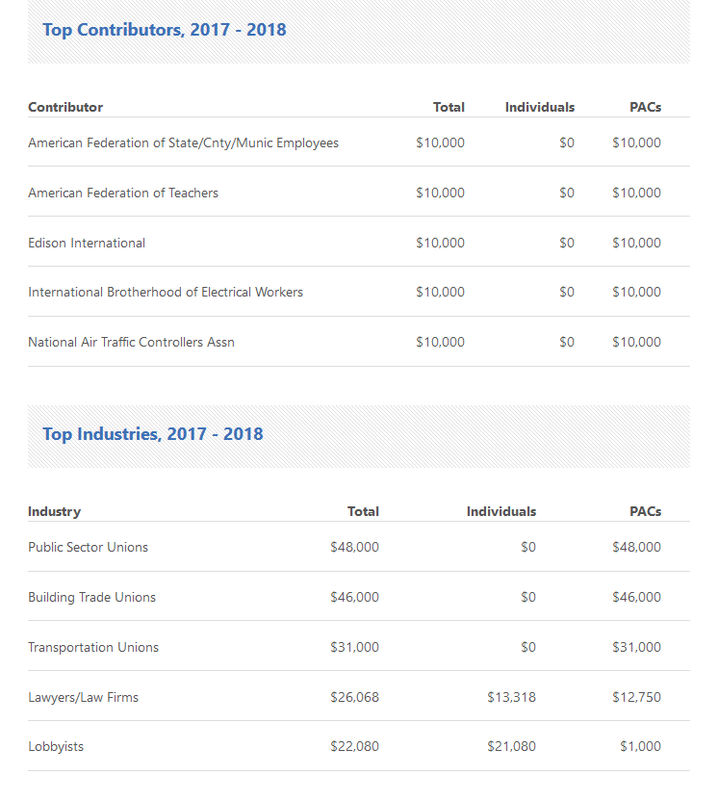 It is not news to anyone that union dues were used for political purposes. It does seem unfair that people would be compelled to support candidates and causes that are against their political ideology. The Supreme Court put an end to these ill-gotten gains last month, and Wilford, Friedrichs, and their fellow plaintiffs deserve an apology if nothing more. Wilford and Friedrichs especially deserve something, since their case was blocked for two years by a deadlocked Supreme Court. Unfortunately, it seems unions are unlikely to give even that, as they staunchly attacked Janus as an unjust decision. Some contrition, and a direct settlement for Wilford and Friedrichs, might save the unions a huge headache — and a multi-million dollar lawsuit. Instead, it seems they’re in for the long haul. Stay tuned. I suspect this is just the beginning. CNS News posted an article today about an item that will appear on the ballot in California in November. The State of California is “nearly ungovernable,” given its “diverse population and economies.” So says a newly qualified ballot initiative that would split California into three states — maybe — if voters approve the proposal in November. One of the new states would be named Northern California (or a name to be chosen by the people of that state). It would encompass 40 northern counties, including San Francisco and its surrounds. The second state, tentatively named California, would include only six counties: Los Angeles, Monterey, San Benito, San Luis Obispo, Santa Barbara and Ventura. The third new state, to be named Southern California (or a name chosen by the people), would include 12 counties, including Fresno, Imperial, Inyo, Kern, Kings, Madera, Mono, Orange, Riverside, San Bernardino, San Diego, and Tulare. The article points out two aspects of this change if it is voted in–first, California would then have six representatives in the Senate–making it more influential than states with only two representatives (but there is no guarantee all six senators would agree on anything). Secondly, California votes in the Electoral College might be split between candidates–giving Republicans votes from a state that generally does not give them Electoral Votes. It will be interesting to see exactly how this plays out. George Soros has a rather checkered past. He has been associated with Nazis in Germany when they were in power and has been accused of acquiring much of his wealth through collapsing the currency of various countries. He is one of the richest men in the world and tends to dabble in the political affairs of various countries–America included. He hasn’t had a lot of luck in America recently–Hillary Clinton lost and many of the California District Attorney candidates he funded lost. He believes in a one-world government controlled by himself and his friends. It won’t be a democracy, and the American Constitution would be irrelevant. Freedom would be optional. Well, I’m grateful things are not going his way right now. I am hoping that continues to be the case. The Daily Caller posted an article about George Soros yesterday. Soros has become known for using his immense wealth to influence politics in the United States and around the world. Actually I suspect George Soros would be willing to destroy the world. He has worked very hard to undermine the national sovereignty of America. I don’t suspect he is giving up on that–just grousing that it is taking so long. Eight years of Donald Trump might make him go away. Not every American high school student took part on the much-publicized anti-gun march in Washington last month. However, you might not have known that if you depend on the mainstream media for your news. Some California students wondered if a pro-life (anti-abortion) march would be treated equally by schools and in the press. Yesterday The Sacramento Bee posted an article that answers that question. Rocklin High School junior Brandon Gillespie wanted to test school administrators when he planned a walkout Tuesday to protest abortion. Would the school punish anti-abortion protesters for leaving classes for 17 minutes, the same amount of time that students taking part in the National School Walkout left classes on March 14, without discipline? About 40 students holding pro-life signs left classes at about 10 a.m. and squared off peacefully in the quad with 10 or so students holding pro-choice signs, according to district officials, who would not allow media near the protest. Another dozen students looked on, according to officials. There were a few speeches, but after about 17 minutes, the students returned to class. District officials said there were no plans to discipline the students. The article also notes that about 350 schools nationwide participated in the march on Tuesday. How much news coverage did they get? Gillespie and Benzel both say that Tuesday’s protesters were not treated the same as the participants in the National School Walkout, who were given tents to shelter them from the rain and a public address system. Teachers also were directed not to discipline students who participated in the March 14 protest, Benzel said. She said similar directives were not given to teachers about Tuesday’s protest, although the district did say it would not punish students who participated in the protest Tuesday. No, it’s not a level playing field. The media is not doing the job the American people need done. The death of the mainstream media will be the result of their own actions–they have no one to blame but themselves. California has declared itself a sanctuary state. Frankly, that is unconstitutional–even under the Tenth Amendment. Securing the borders is one of the powers delegated to the federal government, so California’s declaration that they are a sanctuary state is unconstitutional. However, there are other aspects of the actions of California that need to be looked at. Yesterday The Western Journal reported that California will raise tuition for out-of-state students by nearly $1,000, a hike that will not apply to illegal alien students. So an illegal alien will pay less for an education in California than a legal American citizen from another state. That seems a little odd to me. …UC regent chair George Kieffer reported that UC students have 31 percent less funding each in 2018 when compared with their 2000 counterparts. I think if I were a legal American student from another state I would sue for discrimination. This policy makes no sense. There is a move in America to legalize marijuana. I don’t know if it can be stopped. I doubt it can. Marijuana is proclaimed to be a miracle cure for everything from headaches to ingrown toenails. Well, it may have medicinal value, but it also has a pretty serious downside. I remember looking at the Sunday paper in California after medical marijuana was legalized. The last four pages were ads from doctors who would prescribe it to cure any ailment. All you had to do was call. The legalization of medical marijuana essentially made recreational use much easier to do legally. So what are the consequences of legal marijuana? Yesterday Dr. David B. Samadi posted an article at Fox News about some of the dangers of legalizing marijuana. …What is especially concerning is the fact that the marijuana of today is not the same as it was back in the 1960s or 1970s. Over the past few decades, the concentration of THC in the cannabis plant has been increasing, making it more potent than ever. …Researchers are still studying the long-term effects of marijuana. But what is known is that the younger a person begins using pot, such as in the teen years, the greater the declines in general knowledge, impaired thinking, learning difficulties and lowered IQ. The campaign to legalize marijuana is not unlike the campaign to encourage smoking that went on in the motion picture and entertainment industries up until recent years. We all saw how well that turned out. Serendipity means a “fortunate or happy unplanned coincidence”. We may be seeing an example of that concept in one of the unintended consequences of the recently passed tax bill. In New Jersey and California, top Democratic officials want to let people make charitable contributions to the state instead of paying certain taxes. In Connecticut and New York, officials are exploring a switch from income taxes to new ones on payroll. A few governors have even called for tax cuts. Loosely translated this is what is happening as a result of the fact that states with low state taxes will no longer be subsidizing states with high state taxes. 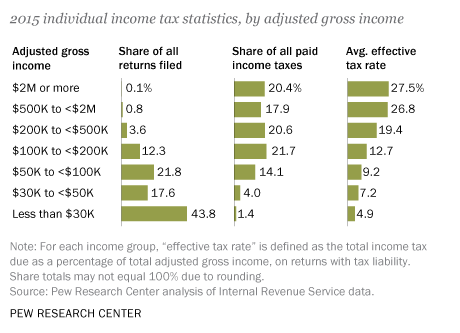 Under the current plan, if your real estate taxes were $20,000 a year, which is not unusual in New York, Connecticut, New Jersey or California, you knew you could deduct them on your federal income tax, so it really wasn’t that important to you. Now those deductions will be limited to $10,000 and you will still have to pay the balance to your state. No one likes it when their gravy train is cut off. The Constitution gives Congress the right to levy taxes. Good luck with your lawsuit. It is remotely possible that fiscal responsibility may be forced on some of our high-taxed states. When you consider that the Founding Fathers saw each state as a laboratory to experiment with unique ideas, it becomes obvious that some states did better than others in controlling expenses. Those states which controlled expenses have been subsidizing those that spent wildly for years. It is nice that things are changing. Now the governments of those states who have overspent need to change. How Is This Not A Violation Of The Second Amendment? Keep in mind when reading that amendment that the Bill of Rights, which includes the Second Amendment, was added to the Constitution to further insure the rights of citizens–not the rights of the government. This Amendment is there to insure the rights of the people to possess arms.The Revolutionary War battles of Lexington and Concord occurred because the British, under Lieutenant Colonel Francis Smith, were ordered to capture and destroy military supplies that were reportedly stored by the Massachusetts militia at Concord. From our beginnings as a nation, Americans have wanted to protect their right to bear arms. California seems to have forgotten America‘s history and the U.S. Constitution. Breitbart posted an article today about new regulations going into effect in California starting today. Currently, law-abiding Californians must buy their ammunition from a licensed in-state ammunition dealer. This means that Californians who buy ammunition online must have that ammo shipped to a licensed in-state dealer and pay that dealer a fee when picking up the ammo. These controls immediately lessen the supply of ammunition, thereby driving up the price for those who demand it. Also, these controls set the stage for phase two of ammunition control, which will consist of requiring a point-of-sale background check for ammunition purchases starting January 1, 2019. The point-of-sale background check will also carry a processing fee, which will drive the price of ammunition even higher. These controls are in addition to the requirement that law-abiding Californians obtain a firearm safety certificate from the state before buying a firearm, endure a ten-day waiting period for gun purchases, pass a universal background check, register all firearms with the state, and live under the shadow of gun confiscation laws. There is an “assault weapons” ban, a ban on campus carry, and a new law against K-12 teachers being armed to shoot back if under attack at school. California also has a “good cause” requirement for concealed carry, which allows bureaucrats within the issuing system to strictly control the number of permits given to law-abiding citizens. This single gun control has resulted in limiting the number of permits issued in Los Angeles County to 197; Los Angles County has a population of 10.2 million, yet only 197 concealed carry permits have been issued to the law-abiding citizens residing there. That looks like infringement to me! Unfortunately the result of these laws will be more guns in the hands of those who do not follow the law and fewer guns in the hands of those who do follow the law. That is not the way to lower the crime rate. Three Democratic-leaning states hemorrhaged hundreds of thousands of people in 2016 and 2017 as crime, high taxes and, in some cases, crummy weather had residents seeking greener pastures elsewhere. …Despite the massive domestic out-migration flow, New York’s net population grew slightly, largely due to high levels of international immigration and a so-called “natural increase” — the difference between births and deaths in a given year. New York’s net migration was about minus 60,000 residents, but the state had 73,000 more births than deaths, resulting in a net population growth of about 13,000. …California was the third deep blue state to experience significant domestic out-migration between July 2016 and July 2017, and it couldn’t blame the outflow on retirees searching for a more agreeable climate. About 138,000 residents left the state during that time period, second only to New York. The increased migration from other countries into California is a partial explanation of the fact that in recent decades California has gone from a reliably red state to a totally blue state. All three of these states have high state taxes. Those taxes will no longer be fully deductible under the new tax laws. It will be interesting to see how the new tax laws impact future migration from these states. I have been a fan of Peanuts cartoons ever since I was old enough to read them. I have visited the Charles M. Schultz Museum in Santa Rosa, California. I have eaten at the Warm Puppy Cafe and watched the skaters skate. I have Tivo‘d the Charlie Brown Christmas special. I watched it this morning. Then I read something that made me realize I had missed a major truth in the cartoon. Yesterday The Federalist Papers posted an article about the Charlie Brown Christmas special. I love the special–it deals with the feeling some of us get when we are up to our necks in shopping and responsibilities and we are in danger of losing the meaning of Christmas. Obviously, the most important scene in the cartoon is the scene where Linus schools Charlie Brown in the true meaning of Christmas, but there is a hidden message in that scene which I had missed. Notice that as Linus begins quoting the Biblical story of Christmas he is still holding on to his security blanket. That is not unusual, Linus is rarely seen not holding on to his security blanket. However, notice that just as Linus quotes the angel saying, “Fear not,” he drops his blanket. The message here is that Linus understands that his security is not in that blanket–it has a bigger source. Previously I had not noticed that. The Daily Caller posted a story today about the latest protest of the National Anthem. According to SFGate.com, the national anthem is a “racist song” and the NAACP wants to push state lawmakers to change it. When the song was written in 1814, slavery was still legal in the United States. Slavery is part of America’s history. It’s not a positive part, but it is a part. In 1814, slavery was legal. …according to the Trans-Atlantic Slave Trade Database, 12.5 million Africans were shipped to the New World. 10.7 million survived the dreaded Middle Passage, disembarking in North America, the Caribbean and South America. Slavery is over in America. Unfortunately it is still alive and well in other parts of the world. Those protesting the National Anthem might do better to protest the places where slavery still exists.